March 20th is the official first day of Spring, have you planned a spring cleaning of your company's HVAC equipment yet? Call Air Temp Heating & Air Conditioning, Inc. today to schedule your facilities HVAC spring cleaning appointment ! One of the largest energy services companies in the United States is enhancing its incentives for commercial and industrial customers that make HVAC upgrades with two program offerings. 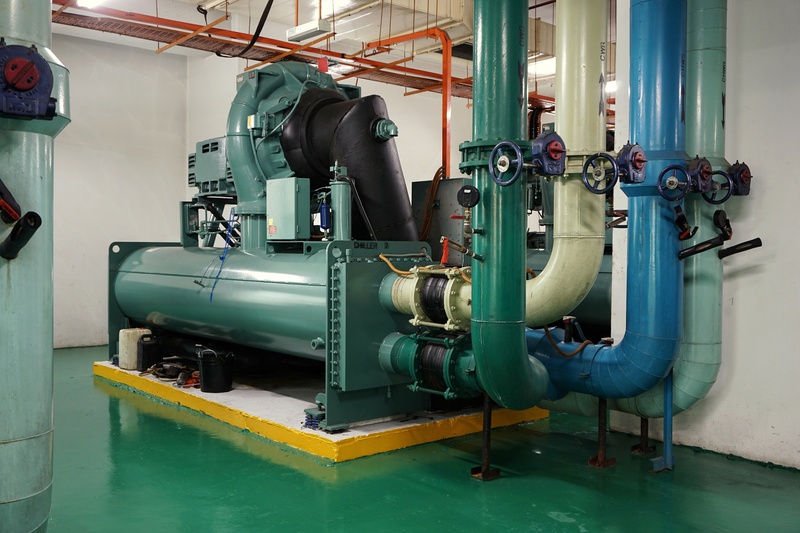 One option called the Prescriptive Rebate Program offers cash incentives for the installation of standard energy-efficient equipment, including HVAC related equipment such as furnaces, boilers and chillers. The second option offers incentives for custom upgrades of $0.16 per kilowatt hour saved plus an additional $600 for each kilowatt of energy reduction. Check with your local energy services / utility provider for rebate offerings that are similar. For years, UV light has been used in health services facilities as part of their disinfection regimens to quickly kill any contaminants. Nowadays, the technology is incorporated into the coil systems of HVAC units to help prevent germs from becoming airborne. Over time, the moistness of an HVAC coil becomes a breeding grown for mold and bacteria. Those organisms penetrate the metal, wearing it down and diminishing efficiency. The buildup diminishes the coil's pressure and ability to transfer heat from the air. UV killing the mold and bacteria reverses the transfer rate and boosts pressure. 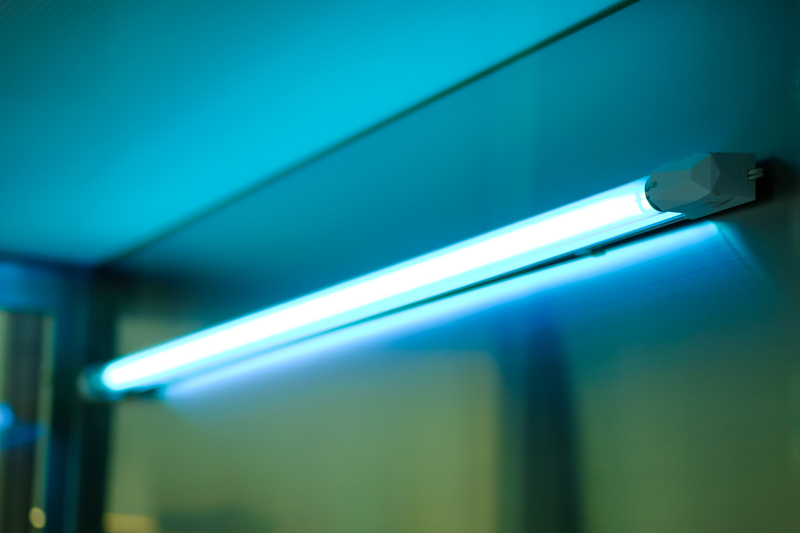 Learn more about how UV light can help extend the life of HVAC units. ISO 20121, also known as the Event Sustainability Management System, is a management system standard that has been designed to help organizations improve sustainability throughout the entire event management cycle in 11 functional areas, i.e. Sustainability (SUS), Accessibility (ACS), People Management (PEM), Food & Beverage (FNB), Cleaning & Waste (CNW), Procurement (PRC), Transport (TRA), Olympic Torch Relay (OTR), Paralympic Games Integration (PGI), Legacy (LGY), and Security (SEC). 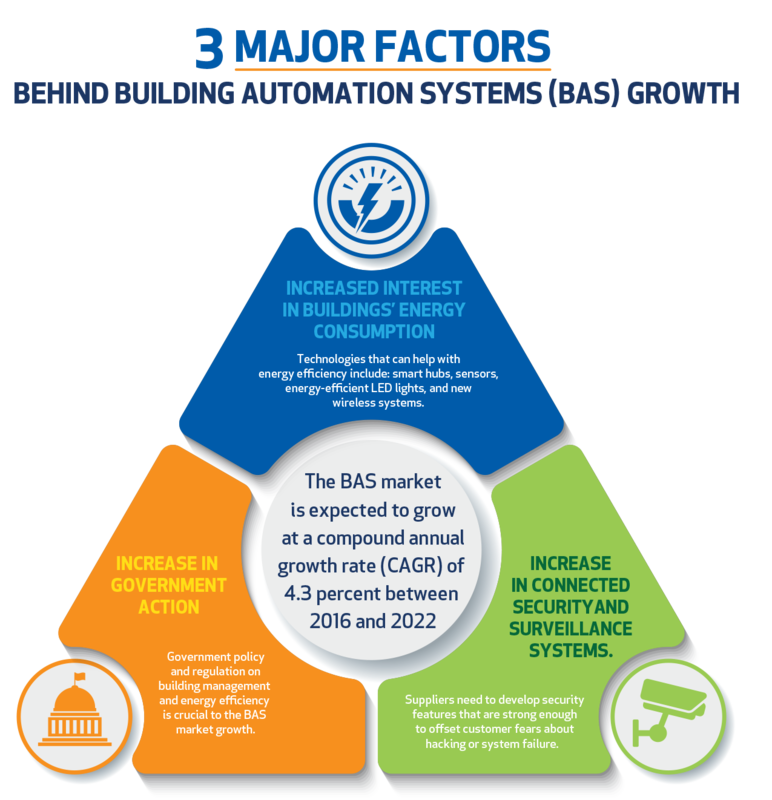 The demand for building automation systems (BAS) is surging as businesses explore new ways of improving energy efficiency. According to a new report, more organizations are turning to connected technologies to improve the management of their buildings. The BAS market is expected to grow at a compound annual growth rate (CAGR) of 4.3 percent between 2016 and 2022.